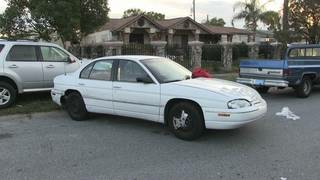 Florida - a woman ran herself over while in reverse when a cat jumped into the car. Not the first or last time this has happened in Florida. Another darwin award for the human species! @dontgive that's how checkov from jj abrams' star trek died. checking his mail when his car rolled down the driveway. two episodes into his hot new role.. rising hollywood star... nek minit own-goals hisself fatally.